Black cohosh is mainly known as a woman's botanical but has some additional uses according to older herbalists who praised it as a calming cough remedy. (Grieve, Maud) ,(Millspaugh, Charles F. 37[11-2]) , who studies its use amoung the American Indians in the late 1880's. 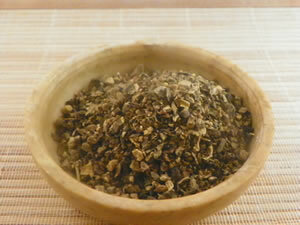 Add the tincture to your cough remedy, or drink black cohosh tea to quiet a nighttime cough. In addition to its estrogenic properties, black cohosh has pain relieving and anti-inflammatory actions that makes it useful for arthritis. Rheumatoid arthritis is a common affliction among women, and can be aggravated by the hormonal imbalances during menopause. Emerging research suggests the estrogen levels may be implicated in many conditions such as rheumatoid arthritis and heart disease, though the relationship is still unclear. More study may determine a broader range of benefits for black cohosh than previously thought. Preparation Methods & Dosage :Black cohosh can be brewed to make a bitter, dark tea that has a wide range of benefits. Also taken in capsule and extract form. 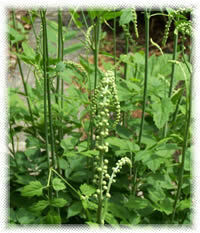 Black Cohosh Side Effects: Some people report an upset stomach or other gastric complaints. 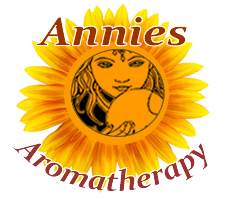 Prolonged use (longer than 6 months) could cause side effects. Not for use while pregnant or nursing. Flowers/Fruit/Seeds: Showy, white inflorescences are borne on a terminal branching spike-like raceme. Numerous showy, creamy white stamens, consisting of slender filaments with white anthers. Four or five small, concave, greenish-white sepals are larger than the nearly inconspicuous, stamen-like petals. The fruit is a dry, oval-ribbed follicle with eight-to-10 triangular brown seeds in two rows. Parts used: Rootstock thick, blackish, successively knotted and fringe-ringed, witish-yellow internally, with a ring of cuneiform wood-bundles pointing inward; rootlets long, simple, and uniform, a section under a lens shows the cuneiform-idles arranged like a cross. Leaves:Large, Alternate, triternately compound, Ovate shaped leaflets that are two-three inches in length. Leaves have two to three lobes with sharp, double-toothed margins. Habit: Erect, smooth stem growing 3 to 8 feet tall. Distribution: This indigenous plant is comparatively common over the eastern half of the United States and in Canada, growing in rich, open woods, and along the edges of fields, but especially noticeable on newly cleared hill-sides. When woods in its favorite localities are at all dense, the plant will be found only in the borders. Actaea racemosa (Cimicifuga) is on the United Plant Savers "At Risk" list. Wildcraft this plant responsibly and consider growing it if you have suitable garden space. Edge of forest or shade garden.